The new 2020 Nissan Murano should be revealed later this year and it is expected to get several changes this time. Those will probably include a few more exterior colors, perhaps some small revisions of the front end, and more optional packages. 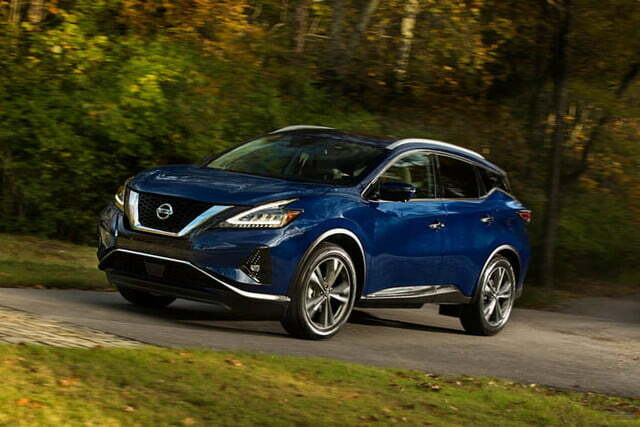 On the engine front, the Murano should keep up with the same powertrain like its forerunner. The 2020 Nissan Murano will once again hit the market with the same engine which powers the outgoing model. There is one option for all the trim levels and it is a 3.5-liter V-6 engine. This unit will be able to make 260 horses and 240 lb-ft of torque. It will be mated to a continuously variable transmission and the front-wheel drive system will be standard. However, the all-wheel drive layout will be optional for all the trims. Its maximum towing capacity will be 1,500 pounds. As for the fuel economy, the Murano will be rated at 21 mpg in the city and 28 mpg on the highway. 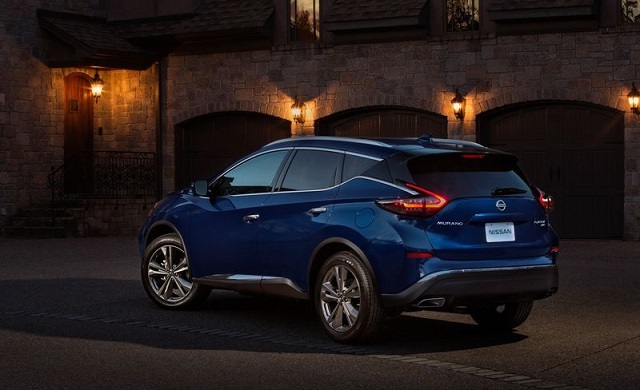 The 2020 Nissan Murano will retain its recognizable rounded styling with smooth lines and swept angles. It will also keep its “floating roof” and the familiar brand’s V-motion grille and LED headlights which might be slightly restyled this time. Around back, there will be redesigned taillights, new fog lights, and the roof rails will be standard on all models. Furthermore, the base model will ride on the standard 18-inch wheels while the higher trim levels will get the larger 20 inches. The two-row seating configuration will be standard for the 2020 Nissan Murano as well. So, it will be able to welcome up to five passengers. The front seats are highly comfortable and supportive and will get leather upholstery in the higher trim levels. The cargo space is also pretty good and with the second row folded down, it expands to 67 cubic feet which is almost double. Moreover, the dashboard is fitted with a standard 8.0-inch touchscreen for the infotainment system and Apple CarPlay and Android Auto connectivity. The 2020 Nissan Murano will be offered in four trims. And those are: S, SV, SL, and Platinum. So, the base S will come with push-button start, dual-zone climate control, automatic emergency braking, audio system with 6 speakers, cloth seats, Bluetooth, USB, an 8.0-inch touchscreen, and Apple CarPlay and Android Auto connectivity. The SV model will add roof rails, leather-wrapped steering wheel, power front seats, rear cross-traffic alert, universal garage emote, auto-dimming rearview mirror, and blind-spot monitoring. The SL will also include 20-inch wheels, leather seats, heated front and rear seats, heated steering wheel, parking sensors, Bose audio system with 11 speakers, SiriusXM, navigation, HD digital radio, power tailgate with motion activation and Around View bird’s-eye camera system. 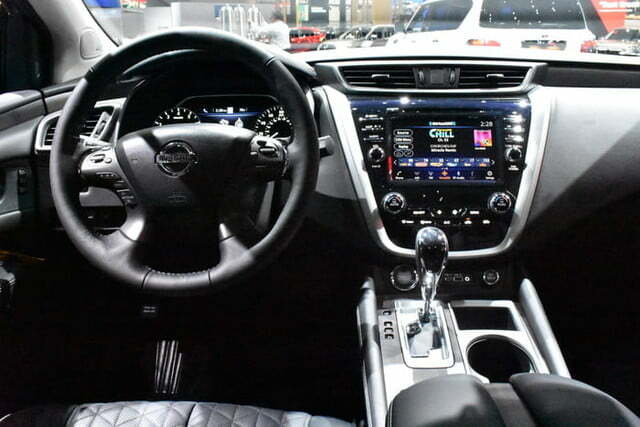 The Platinum model will also gain panoramic moonroof, semi-aniline leather seats, power-adjustable steering wheel, heated and cooled front seats, NissanConnect, etc. The 2020 Nissan Murano might be presented later this year. The price should stay close to the current and it begins at around $31,000.